I had the pleasure of interviewing author Mia Kayla recently. 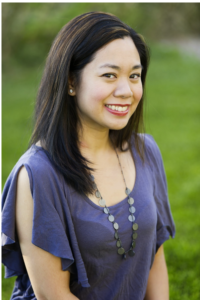 Mia is the author of several books including Torn Between Two, Choosing Forever (These are my favorites), Marry Me for Money, Love After Marriage, The Scheme, Naughty Not Nice, and Everything Has Changed. Where were you when you thought, “Hey, I think I’ll write a book!”? So funny. I never thought I’d write a book. I just did. I had these characters—Kent and Beth—from Marry Me for Money that wouldn’t stop talking to me. Within months I had a finished rough draft and after that I decided I’d publish it, but I didn’t know what I had to do next. So then, came the research. When and why did you start writing novels? I wrote my first novel in fourth grade. It had witches and monsters and I bound it together. It was a project at school, but that was my first book. What made you consider writing a book? I don’t think I stopped to consider writing a book. I just did because these characters in my head would not shut up and they had a story to tell. Afterward, I wasn’t sure if I should self publish or publish traditionally. When I saw others self publish, I thought…this is the route I want to take. What kind of background do you have? I graduated with a major in computer science but now work in banking. Do you name your characters after people or do names just POP into your head? I’m bad with names. Real bad. I have to Google or ask my reader group for names. Are your characters/stories inspired by events and/or people in your life? My first story was but other than that, I plot stories out. Who’s your favorite character that you have written, so far, and why? This is hard. I think my favorite character so far is Kendy from The Scheme. People got annoyed with her but, in my head she was loud and had no shame. She said what she wanted to and did what she wanted to. She was fun to write. How long did it take you to get your first book published? That was three years ago, so I have to think. Maybe over a year? It took a few months to write but then I went through rewrites. Did you self-publish or submit to a publisher? Self Publish. Does music inspire you? And what is on your playlist right now? Sometimes music inspires me but I have to write in absolute silence. Right now Ed Sheeran’s Perfect is on my playlist. Love that song. Flats or Heels – Flats now. Heels when I was younger. I’m a shorty.